U19 Championship. 11th round. October 15, 2016. Morshyn. Medyk Stadium. Att: 200. 2 oC. In the table, the opponents are going neck and neck, with the Pitmen sitting in the 6th spot (8 matches, 15 points), and the Stryi side sitting in the following position (9 and 14). This season, Skala have not suffered a single home defeat, scoring three wins and a draw. Both sides have spent nearly three weeks without official matches due to some postponed games and meetings of national teams. Shakhtar players Stanyslav Hudz, Volodymyr Yakimets and Dmytro Topalov helped Ukraine U19 to make it to the elite round of the 2017 European U21 Championship. All three of them have appeared in the starting line-up today. In the opening minutes, the opponents tried to establish control of the ball and achieve a territorial advantage. The Pitmen habitually played on top, but also the hosts skilfully imposed their game in midfield, bringing down the pace of the Orange-and-Blacks’ attacking moves. 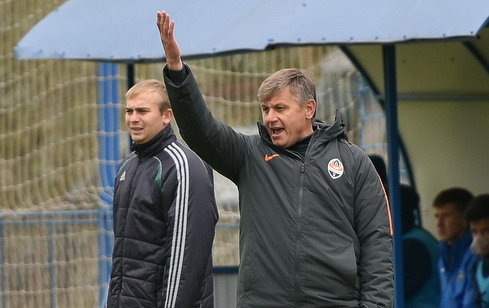 There were not so many threatening situations in the first half: Yuriy Mate’s strike following a corner did not work, with Maksym Andruschenko was first close to getting on the end of Konoplya’s cross near the far post, striking another shot right into the goalkeeper’s hands at the end of the first half. After the break, the game got more openwith the opponents exchanging threatening attacks in the opening stages, but neither the Pitman Andruschenko nor the Stryi side player Hereha managed to excel. 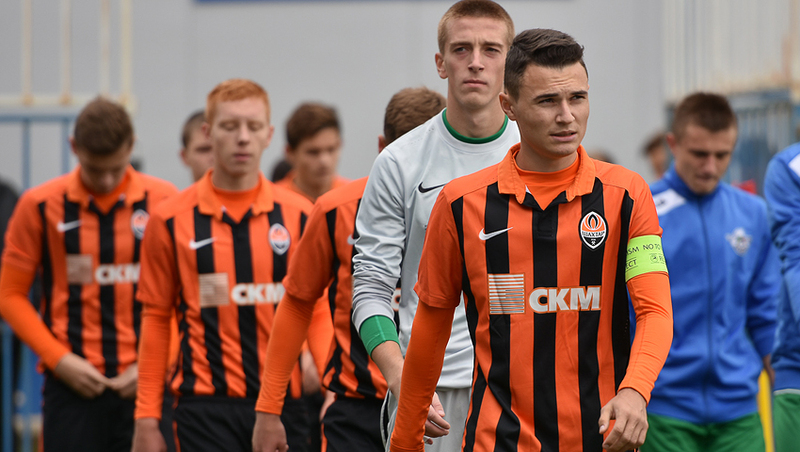 Gradually Shakhtar seized the initiative and created several scoring opportunities. Kashchuk missed the ball by inches following a delivery into the box, with Hudz shooting on target from close range with the ball going over the crossbar, and the substitution player Khachayev found himself one-on-one with the keeper, but hit the goalkeeper from tight angle. The closer to the final whistle, the deeper the hosts dropped, however the prolonged attacking move did not help the Donetsk team to score. 0-0 – Shakhtar were tied for the first time this season. In the next round on October 22, the Pitmen will entertain Dnipro in Schaslyve. - I believe that we have chosen the right tactic for this match, operating wisely defensively, not allowing the hosts to create anything near our goal. It’s just offensively that we haven’t been sufficiently active and aggressive today: we had our chances, but they were insufficient for us to score at least one goal. I think, given this kind of performance, had we scored at least once, our victory would have been secured. But in reality, the opponents imposed a great number of challenges upon us in midfield, and even though we didn’t lose that fight, they still managed to undermine our combinational attacking moves.